So who would not want to be warmer, at least on the East coast where this year it seems as though the water never warmed up. Well Quicksilver has found the answer without electrocuting the surfer. Utilizing Far-infrared heat technology and delivers hours of heat (129 deg on high setting and 116 deg on low setting) to your vital organs to maintain your core temperature and extend your session. Bonus is that the batteries are rechargeable, how green of Quicksilver. Quicksilver also claims hours of heat, that would be nice. Hey if you are clever and most are, when the season changes look to wear this under your jacket when you hit the slopes. Somethings are obvious other take some time like this idea from Designers: Jiwoon Park & Kwenyoung Choi. There are two things make the NNew Can stand out; one it has a deliberate spiral shape and two its opening-clip has an uplifted indent. 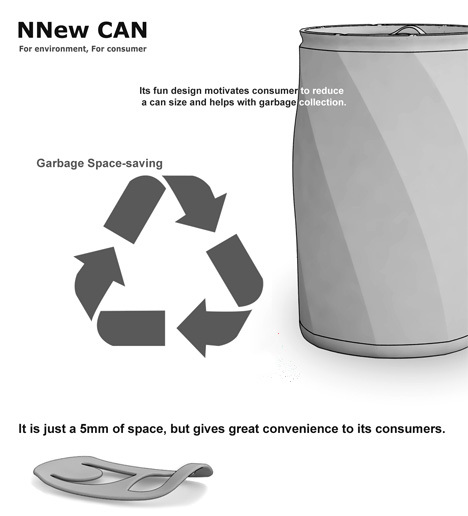 The reason for the spiral shape is obvious, it makes it easier for you to twist and crush the can with hand and dump it into the trashcan. And the reason for the indent in the clip is so that you can open the can easily without chipping a nail. I endorse the second reason wholeheartedly coz I always manage to clip mine while opening my soda-can! 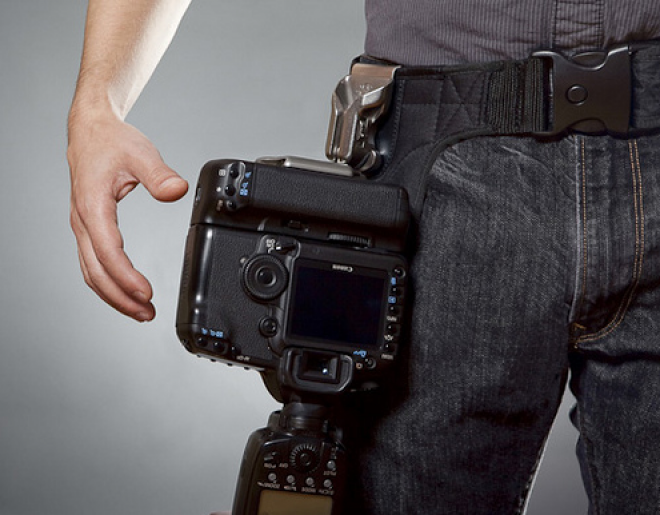 Get your DSLR from hip to hands in a flash and change the way you carry your camera and take photos with the Spider Camera Holster. Join the Spider Revolution! Beautiful: With the Spider you'll have one less strap or bag to take with you, just a nice metallic shine (polish not included). Many different reason to wear something like this, one for attracting attention, the other to let motorist know that at times you are actually going faster than the speed limit. SpeedVest has LCD's on the back and illuminates like Radar signs that you pass on the road, the difference is that it displays your speed, letting all know how fast you are traveling. Europe gets it, USA make it happen! When you see simple ideas implemented you can't stop to wonder why it is not universal. This "Vorstellwagen" was first available in 1983 to ferry biking commuters between Stuttgart and the mountain town. It travels just 2 kilometers, but with over 200 meters of elevation change between the two stations and a maximum 20% slope. 1983 wow and still no luck. You have the west coast that without a thought would get this done. Who will be the first in the US. New Take on a old Idea, Duffle Bag remade! So the old military duffle is/was great, but backpack and designer suitcases came into play. If you like simple and one bag through over your shoulder and go then you will like this new take on an old design. Red nylon duffle bag with a drawstring fastening at one end as well as a full length outer zip. The bag has an internal zip pocket and adjustable nylon cord straps to make it more secure. Made in Japan, this piece measures approx 28” x 9” x 9” and the adjustable shoulder strap is 38” at its longest length. Simple and redesigned for the modern world. New Balance and iPhone, Perfect! Wow, NB and MapMyRun have teamed up and come out with a fantastic app for the iPhone. Yes many have done this, but NB has really come the closest, has mapping, coaching, history and fitness. Now comes the two pieces that make it way cool, training partners and Photos, to really rub it in your friends face have you have done and where you turned it on. Oh it also links with Twitter to post your results.